One of the most powerful ways of increasing user engagement on your blog or website is by using interactive quizzes. People love to learn about themselves (personality quizzes) or to put their intellect to the test (trivia quizzes). Your users might even like to share the quizzes with their friends to challenge them, thereby bringing in more traffic to your website. If you own a WordPress website, the WP Quiz Pro plugin can help you integrate beautiful and engaging quizzes without you having to break a sweat. It comes with a powerful quiz building interface coupled with a lot of customization options to help you create awesome quizzes which look great, and are extremely engaging to play. Now for the purpose of this read, we will be doing a full in-depth review of WP Quiz Pro to help you decide if its right for you. We will go over all its bells and whistles, and also share a guide on how you can use it from the WordPress back-end. With trivia quizzes, you can create multiple answer type questions and challenge users to test their knowledge on day to day trivia. 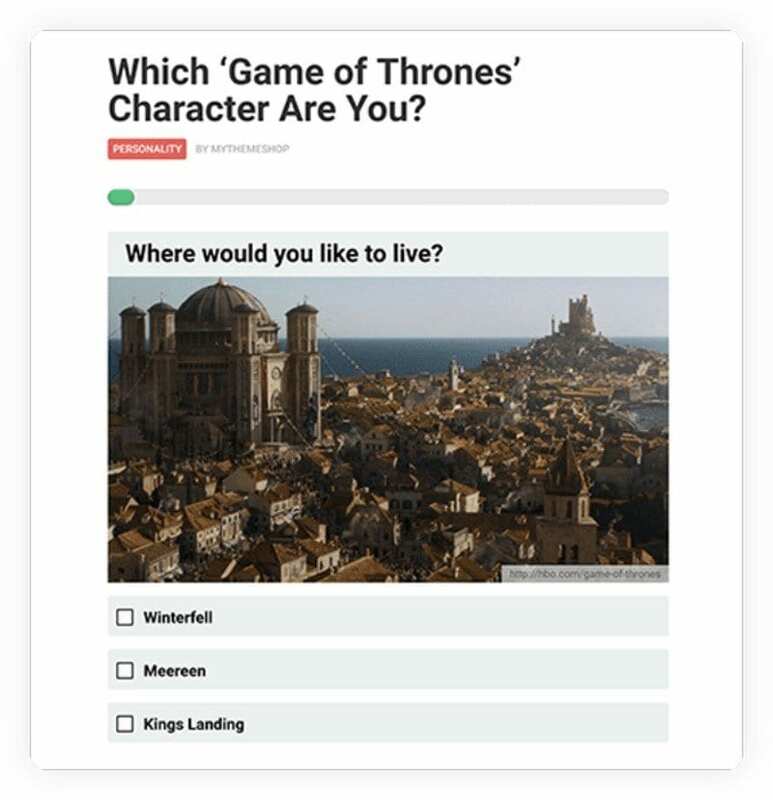 Of course, you can use the format and use it to create any type of quiz that you like. Essentially, you will be asking users questions coupled with a feature image. Below there will be multiple answers from which the players need to select the correct options. People tend to get extremely competitive over these quizzes and will undoubtedly challenge their friends to beat their score. As a result, you will be getting more traffic. Who doesn’t love to learn more about themselves? Or better yet, compare their personality with their favorite star or celebrity. With these quiz types, you can create questions along with different answers. The user picks the option that resonates with their own personality. In the end, depending on the answer they are shown which personalities they most closely resemble. Besides this, the plugin will also give you the option to format the quizzes either in a single page or multi-page layout. Tinder’s swipe left and swipe right gestures are quite intuitive for mobile users. If most of the traffic you are getting is from mobile devices, then you can use this format and implement it onto your quizzes. Basically, you will be wanting to create some yes or no, and true or false questions. Users will have to swipe left for false and right for true, or vice versa. 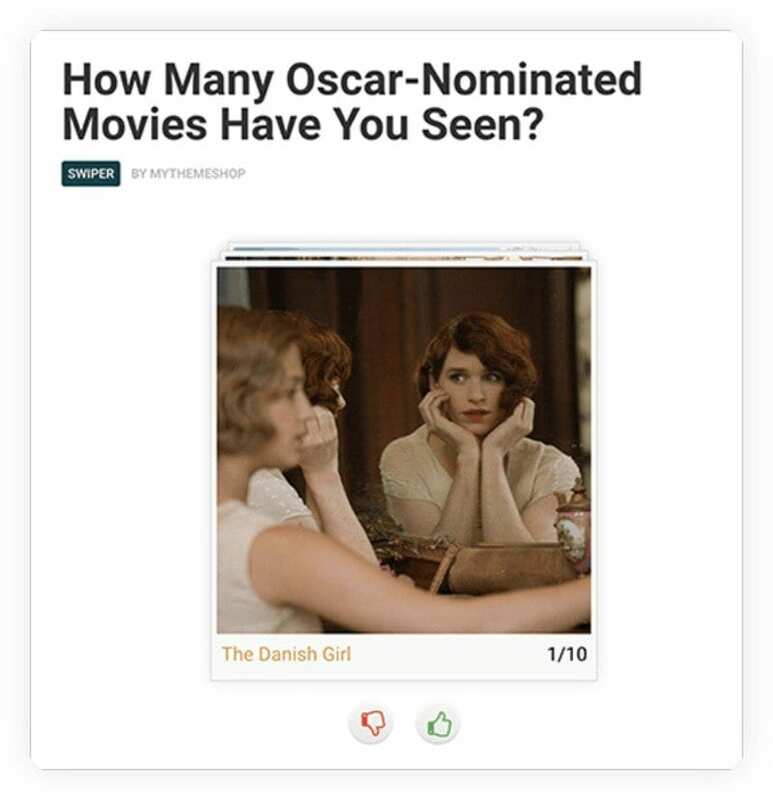 And there you have it, an addictive form of mobile-friendly quizzes right on your website to engage users. Many websites and web apps are constantly increasing their subscriber counts using Facebook Quizzes. 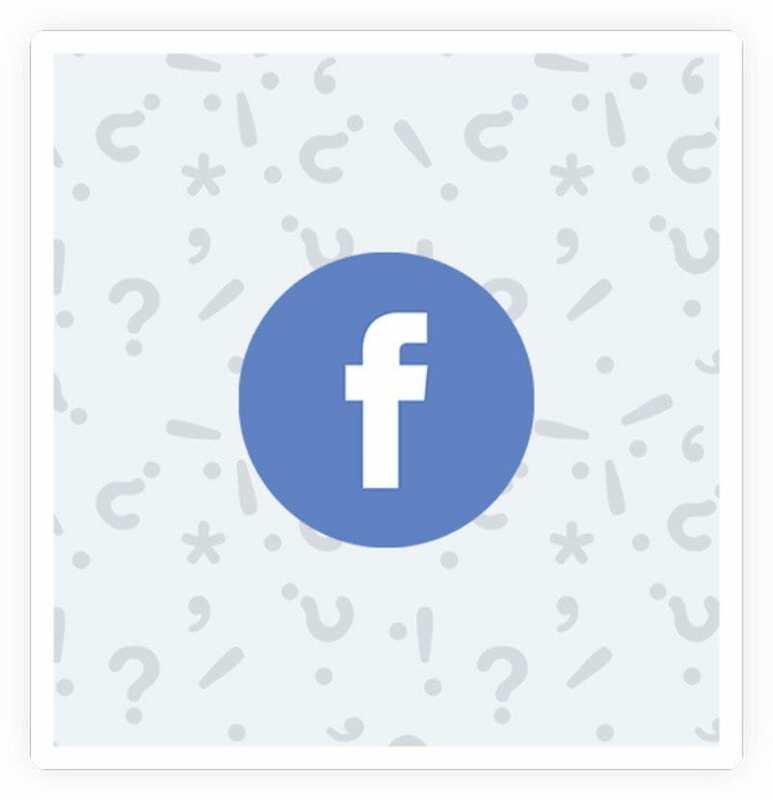 These are basically some fun quizzes which one user will take and then share their results on Facebook and “challenge” their friends to take part as well. There are many different types of quizzes that fall into this category. Basically, you should be targeting something that is trending and people might want to know. For example, quizzes like “which of your friends have a crush on you,” “what does your future hold,” and the lot. Similar to quizzes, you might also like to host riddles on your website. 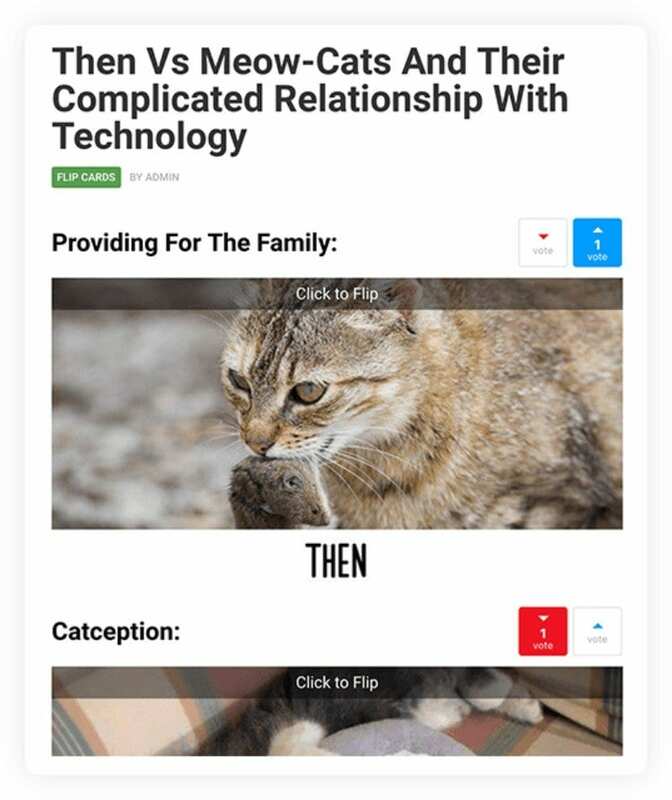 Well, this can be done using the Flip Quiz type. You can showcase an image to your users paired with a question. The user will guess the correct answer and then click the image to flip it showing whether he was right or wrong. This isn’t a quiz per se and is more like a game where users can showcase their own personal opinions. 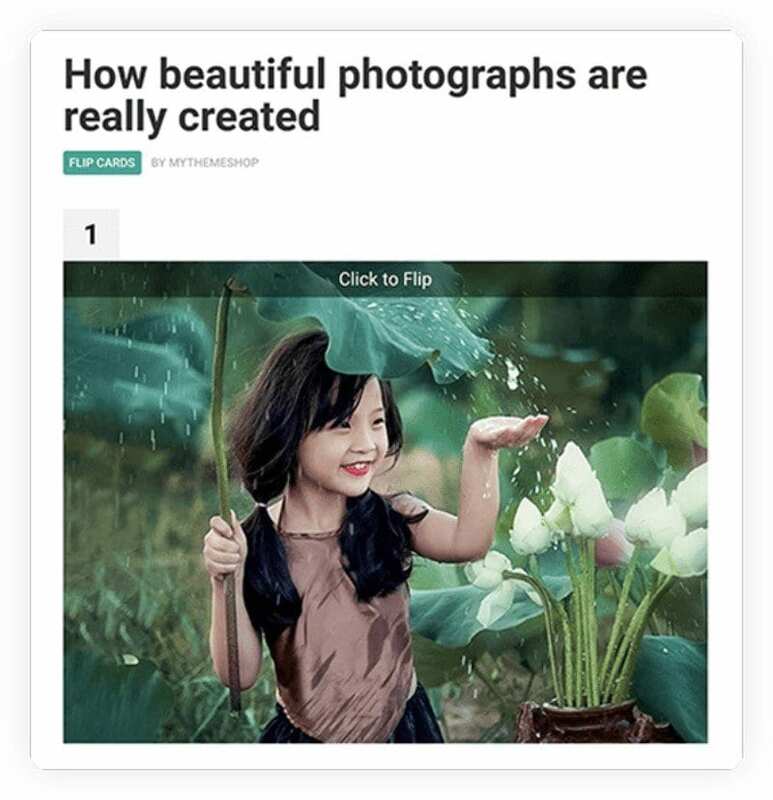 You can display a set of images or questions to your readers coupled with an upvote and downvote option. Users can then make their voices be heard on the topic by upvoting/downvoting the points. Depending on the users’ opinions, the points which got the most upvotes or the least downvotes will be adjusted in the list and will be repositioned accordingly. These types of games will work fantastically if you run a forum/community and want to increase user interaction and engagement. Responsive Design: All quizzes are mobile friendly, allowing both desktop and mobile users to take part. Different Layout Styles: You can create the quizzes either in a single scrollable layout. Or you can distribute the different questions of the quiz in a multi-page layout. 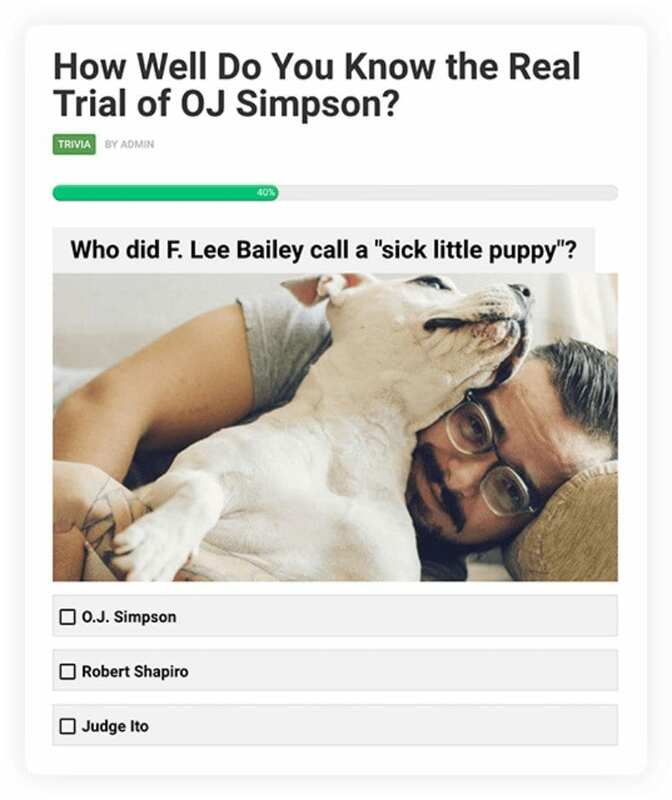 Statistical Insight: As users play your quizzes, you will get access to important data as to how these people are responding to the questions. You will also get some data and insight on the players alongside the option to ask them about personal details like name, gender, age, and so on. And if that is not all, there is also Google Analytics integration for further insight. Monetization: There is an inbuilt option to ask the player to “pay” to take part in a quiz or view the answer. You will also get support for Stripe and PayPal. Ad-supported: Besides asking money directly, you can monetize the quizzes by showing ads in-between different questions. Conversion Focused: You can ask the users to create an account on your site or subscribe to your newsletter if they want to take a quiz or see their results. Social Media Integration: Option to make your quizzes go viral with integrated social media sharing options. Have the user share their results on Facebook, so that some of their friends can take the quizzes themselves. Randomize: You can randomize the questions in each quiz such that they don’t appear in the same order every time. Customization Options: Plenty of customization options to help make the quizzes as fantastic as possible. You will also get different skins including a modern and traditional skin type. Rich Quizzes: With Video and Image Support, you will be creating highly engaging and rich Quizzes. You will even get access to 44 cool animation effects for that added flair. User-Interactions: Some users might not understand why their answer is wrong. In that case, you can showcase the right answer along with an explanation after they have made their selection. On the other hand, you can also offer hints, if the questions are on the more difficult side. Time Integration: You will also get access to a bunch of options that can help make the quizzes a lot more competitive. For example, you can set a countdown timer on each question(or set an overall quiz timer) before which a player has to choose an answer(or complete the quiz). Developer Friendly: The quizzes are very easy to use and highly customizable. However, if you want some more control yourself, then you can easily make tweaks and adjustments to the source code yourself. Compatibility: The Plugin works with all the latest WordPress themes and won’t cause any compatibility issues. 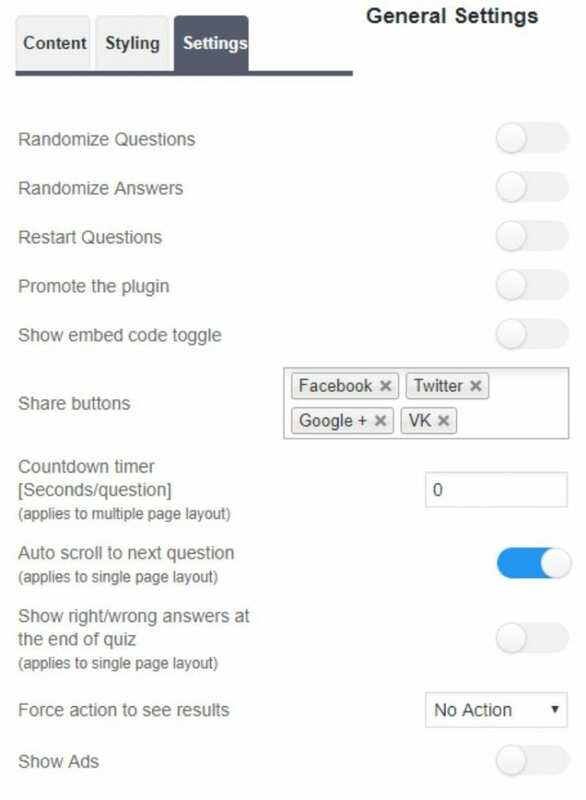 Shortcode Support: You will be able to add the quizzes on any post, or page using Shortcodes. 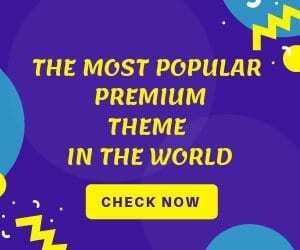 How to Use WP Quiz Pro? So now that you know all the different features and functionalities of the plugin and what it can do, let’s discuss how you can do them. Here we will be taking a tour inside the WordPress Backend to give you an idea of how it is like working with the plugin first hand. P.S:- It is extremely easy to use and comes with a very intuitive interface. Now to get started, the first thing that you will have to do is install the plugin on your WordPress backend. 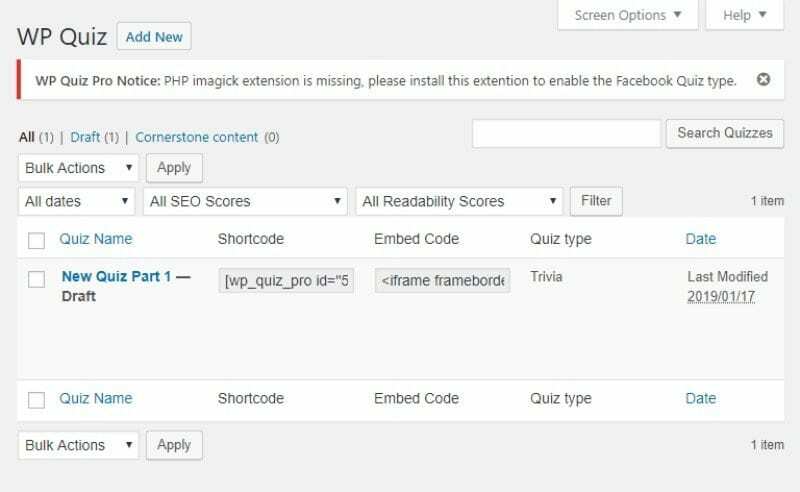 Once you have done that, go to your WordPress dashboard, and you will notice the new WP Quiz Pro show up in the side menu. There you will be greeted with 6 different options: All Quizzes, Add new, General Settings, E-Mail Subscribers, Import/Export, and Support. Now let’s go over all these different options, and what they have to offer. The All Quizzes & Add New options are basically complementary to one another. In the ‘Add New’ option, you will be given all the options to create a new quiz type. Once you have done that and given it a name, it will be listed under the All Quizzes panel. You will also get the associated shortcode to a Quiz directly from the All Quizzes section. You can copy it from right here to add to any section of your website. Under the Add New option, you will have the Quiz Builder area to help you create your engaging quizzes. As you can see from the image, at the top, you will have the Quiz Title Bar, where you will have to give a name to the quiz you are creating. Once, you have given the quiz a title, the first thing you will have to choose is a rich snippet for the quiz. Next, you will need to choose one of the 6 different quiz types we discussed earlier. After that, you are greeted with three different options. Under the Content tab, you will be able to add all the different Questions and Answers to your Quiz. To its side is the Styling tab where you will have to choose the question layout, skin type – modern or traditional, font color, and background color. Once that is done, there is the Settings tab, which gives you a bunch of advanced options for the quizzes. From here, you can set a countdown timer, set the next questions to show up in auto-scrolling, enable “show right/wrong answer at the end of the quiz,” randomize the questions, and much more. Under the General Settings section, you will have access to a lot of different default functionalities of the plugin. For starters, you will be able to enter your Google Analytics ID. Next up, you will have the option to enter the mail service you use. The plguin is currently only compatible with MailChimp, Aweber, and GetResponse. So you are only limited to these service providers. Once you have done that, you can scroll down to the “Default Quiz Settings” section. As the name implies, from here you will be able to set all the default settings that will be followed by the quizzes. For example, you will be able to enable/disable randomizing the questions and answers on your quizzes. You can also integrate Social Media Share buttons right here and they will pop-up along with your quizzes. Besides this, Facebook integration and ads-integration can also be enabled/disabled from this area. 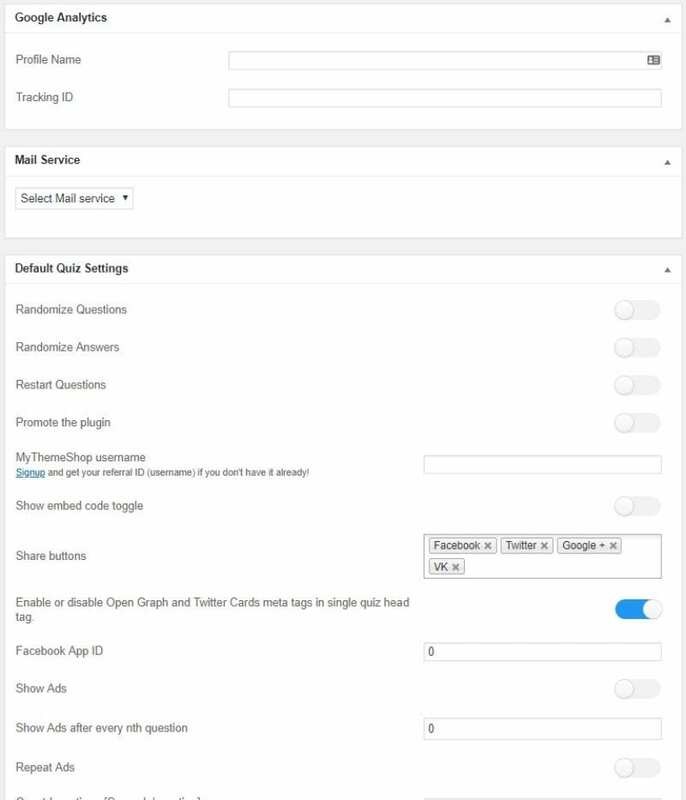 As discussed earlier, you can configure your quizzes such that it will ask the players for their email addresses before showing them the result, or directly sending it to their email addresses. You can use this to increase your subscriber counts. All the email subscribers are neatly organized in this screen. You will get to see the names, associated email IDs, and the date of subscribing listed alongside the respective quizzes. Furthermore, you can export this as a CSV and use it with the mail service of your choice to better your email marketing campaign. 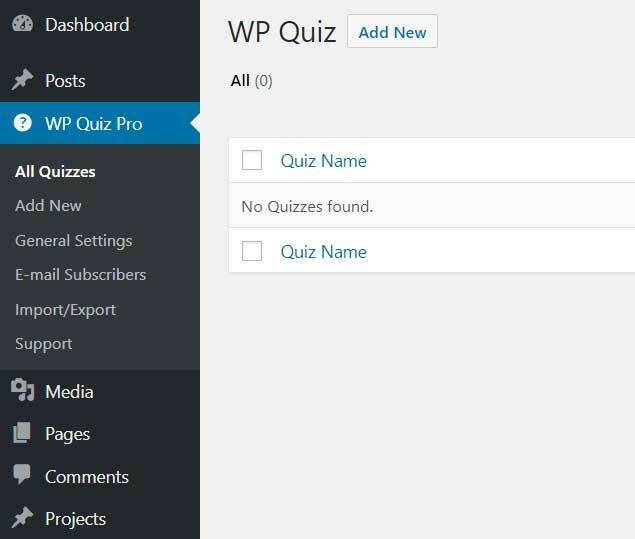 You might have more than one websites with the WP Quiz Pro plugin installed. In that case, you might require to create the same quiz on both websites, but that is not necessary. 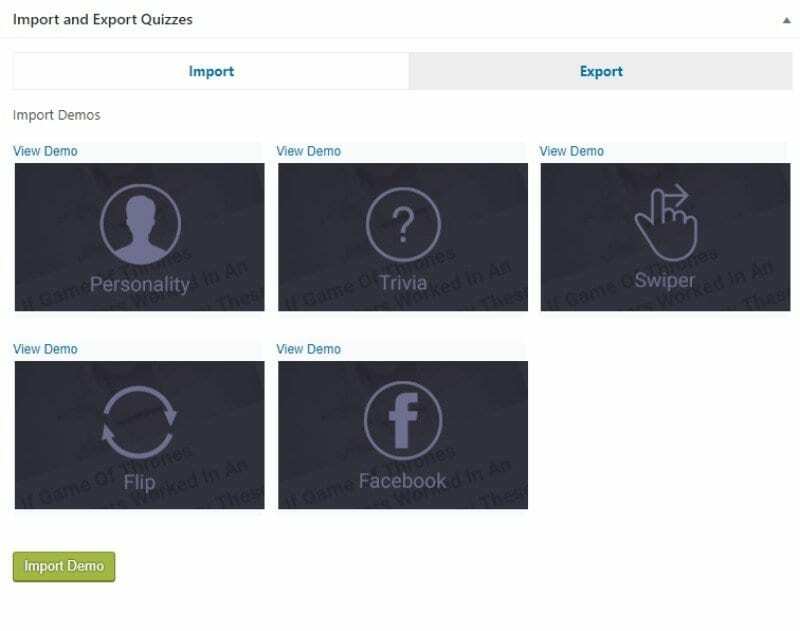 There is a dedicated functionality in the plugin which lets you export the quizzes you have created and import them on your other websites. The plugin offers a dedicated support system right in your WordPress dashboard. Under the support section, you will get a link that will help you generate a support ticket. There is also a dedicated section boasting the exact configuration in which you are running the plugin. You can paste this information with your ticket, and the support expert will be able to quickly understand and address the issues which you are facing. WP Quiz Pro follows a freemium model. This means you can get the plugin for free with many basic features. However, if you want to access some of the more advanced options mentioned here, then you will have to go premium. For example, with the free version, you will only get access to the trivia quiz type, personality quiz type, and the flip quiz type. The other three variants are saved for premium users. 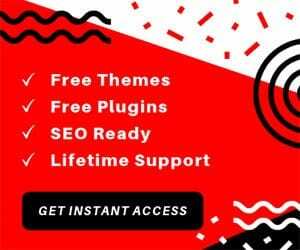 The pricing for the premium version of plugin depends on the number of licenses you want to purchase and starts from as low as $9 per month. So this was our full in-depth review of WP Quiz Pro Plugin. We hope you found this read to be helpful and that it helped clear out any confusion you had with the plugin. As you can see, it is loaded with a lot of features that can help make your site a lot more engaging. Furthermore, all the options are easily accessible, and you will be able to create professional looking quizzes right away.